POS Bio-Sciences is a confidential contract research, toll processing, and analytical services organization located in Saskatoon, Canada. 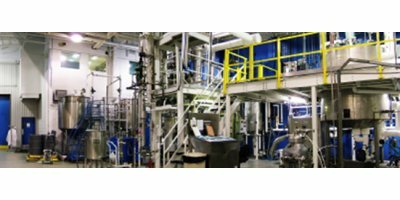 POS provides bioprocessing expertise for an expanded range of bio-based material including botanicals, legumes, fish and marine oils, and algae- and yeast-based biomass. All processes are fully supported by quality assurance, commitment to regulatory compliance, and certification to international standards. Industries served have expanded from oilseed processing and food industries in 1977, to include cosmetics, wellness, agricultural biotechnology, feed, and industrial bio-products such as biofuels. POS Bio-Sciences offers unparalleled expertise and service in bioprocessing applied research from bench-top to commercialization scale. Our focus is Process Development, Analytical Services, and Custom Processing. 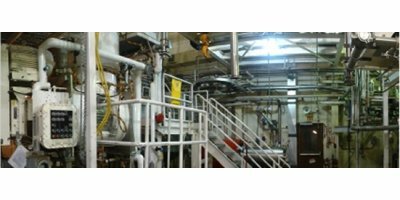 We specialize in extraction, fractionation, modification and purification of biobased materials. All POS Bio-Sciences processes are cGMP-compliant and fully supported by quality assurance, commitment to regulatory compliance, and certification to international standards. We also offer a suite of support services to assist clients and ensure that project outcomes meet their needs and expectations. POS Bio-Sciences is a registered business name of POS Management Corp.
We work with leading industries to develop new products and expand processing capacity. From ingredients to bio-products to green solutions, our team brings bench strength and brilliant solutions to help companies grow. POS Bio-Sciences was incorporated as POS Pilot Plant Corporation in 1973. In 1977, we opened our doors as a research facility to study grain and oilseed processing and ingredient development - opening up a world of potential and growth for Canada’s agricultural industries. Today POS provides bioprocessing expertise for an expanded range of bio-based material including botanicals, legumes, fish and marine oils, and algae- and yeast-based biomass. All processes are fully supported by quality assurance, commitment to regulatory compliance, and certification to international standards. Industries served have expanded from oilseed processing and food industries in 1977, to include cosmetics, wellness, agricultural biotechnology, feed, and industrial bio-products such as biofuels. Earn recognition among the best applied R&D service providers in the world. Provide technically and economically feasible results. Lead in the global wellness industry. Maintain innovative capacity to create world firsts. Offer exceptional resources sto enable market entry. Accompany freedom to act with responsibility. Apply experience to solve problems. Engage in clear, positive communication. Help and trust one another. Respect and value each team member. Support tasks with effective teamwork solutions. The protection of confidential client information is among our highest priorities. Our dedicated Quality Assurance and Regulatory Compliance team ensures that client products are manufactured in accordance with established regulatory requirements (GMPs, HACCP). Our clients appreciate the solutions and services we offer through our one-stop, research and development facility. 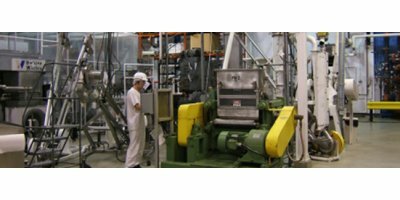 Our facility enables us to provide grams to tonnes process development, extensive analytical and laboratory services, and both large and small scale specialty custom processing. Our in-house support services include materials management and logistics, maintenance, information research services, and quality assurance among many others. Extraction capabilities include solvent, aqueous, supercritical fluid, and enzyme-assisted extraction.Fractionation and purification capabilities include solvent fractionation, low temperature fractionation, membrane separation, solvent partitioning, preparative scale HPLC, and urea complexation. Modification capabilities include enzymatic, chemical, hydrogenation, hydrolysis, esterification, and substitution. POS Bio-Sciences provides unmatched services, solutions and capabilities in one place, ready to work for you. Our success is built on solutions that work for industry. Our collaboration with Agriculture & Agri-Food Canada resulted in a new product – canola oil – that has transformed the western Canadian economy, the lives of farmers and farming communities and agricultural regions around the world. This vegetable oil product is used around the world today for both food and industrial uses. It is the main reason Canada’s canola exports have reached over 2.3 million tonnes to many countries all over the world. Our work with UFL Foods to develop the technology for deheated ground mustard is another example of a successful POS Bio-Sciences collaboration and one that has driven real growth and expansion for industry. Deheated ground mustard is now sold in more than 50 countries in meat products, condiments and substitutes for egg and guar. Since 1977, over 5,400 clients from 40 different countries have engaged POS Bio-Sciences as a confidential R&D partner. 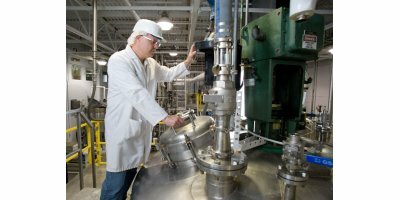 Today, we provide bioprocessing expertise for an expanded range of bio-based material including botanicals, legumes, fish and marine oils, and algae- and yeast-based biomass for a range of industry clients.